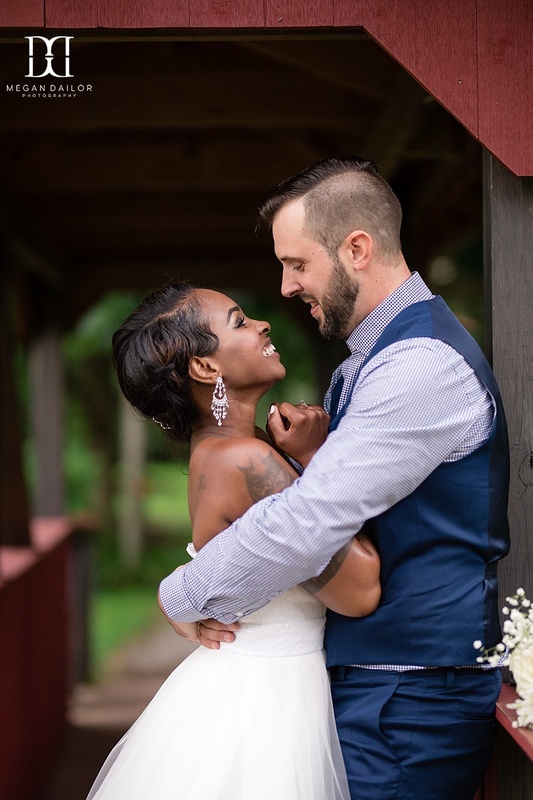 Joaneé and Charlie's Webster Arboretum Wedding was simple but completely stunning! 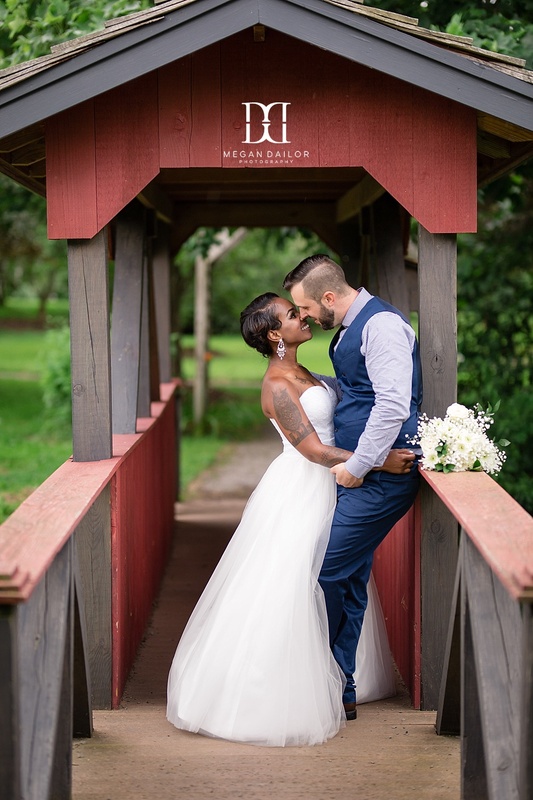 When we did their gorgeous engagement shoot last fall, they had some ideas about the wedding but nothing official yet. 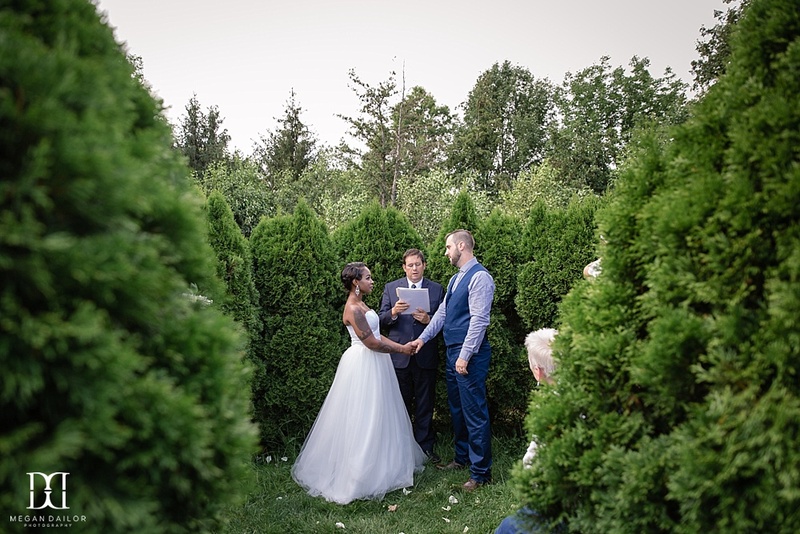 I am so thrilled they ended up at the arboretum with the very cool idea to get married in the center of the hedge maze. 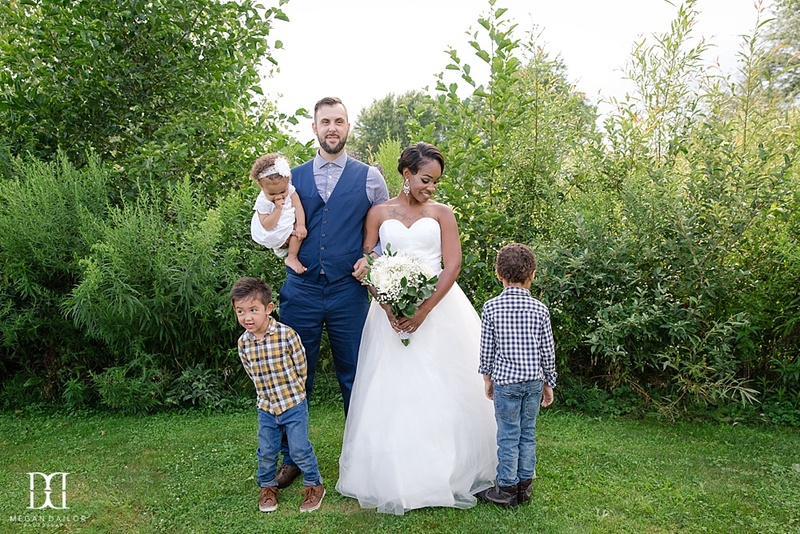 Being a small family affair, it was a perfect, cozy spot for the ceremony. 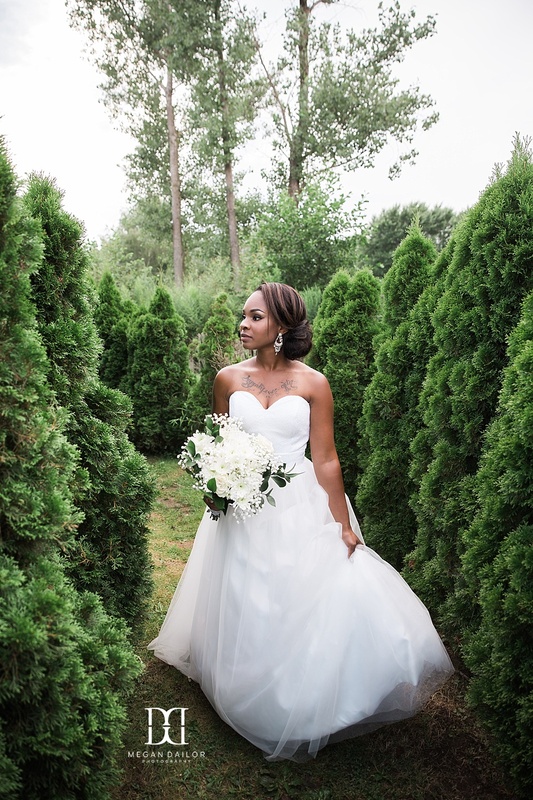 As Joaneé made her way to the center of the maze to find Charlie, she was 100% channeling Cinderella. What an absolutely lovely bride. 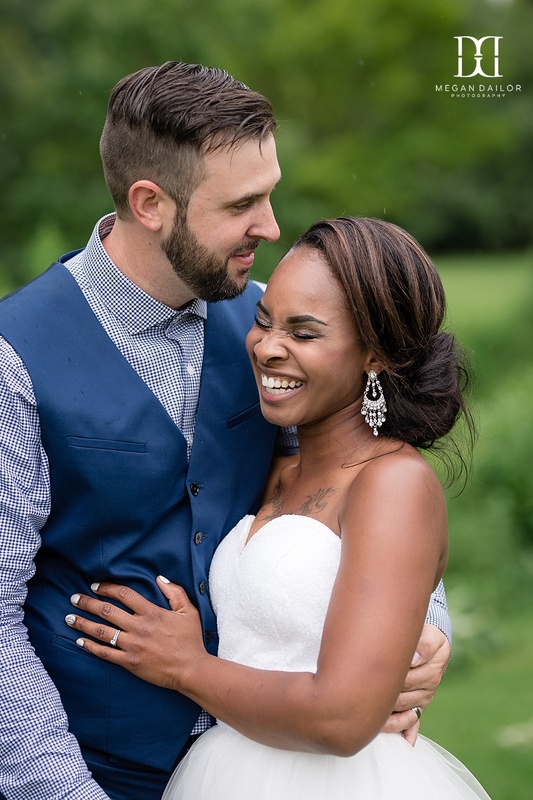 Joaneé and Charlie are such gleeful peas in a pod. I love how this looks! So intimate and unique! 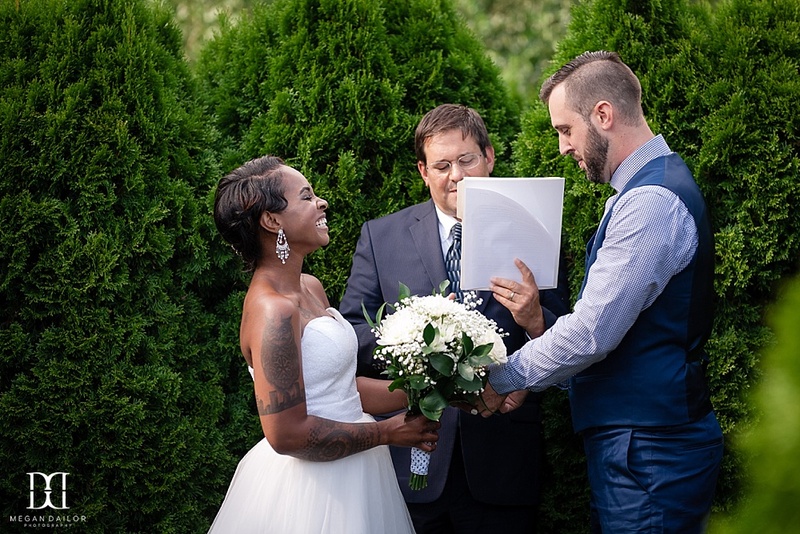 The ceremony was short, sweet and cute! 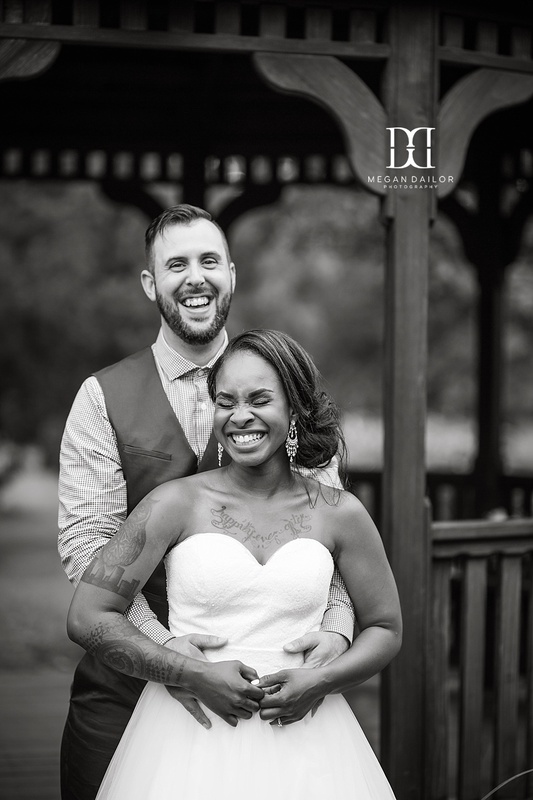 They were incredibly cute together at the engagement, and they leveled up at the wedding. Can you deal with this? 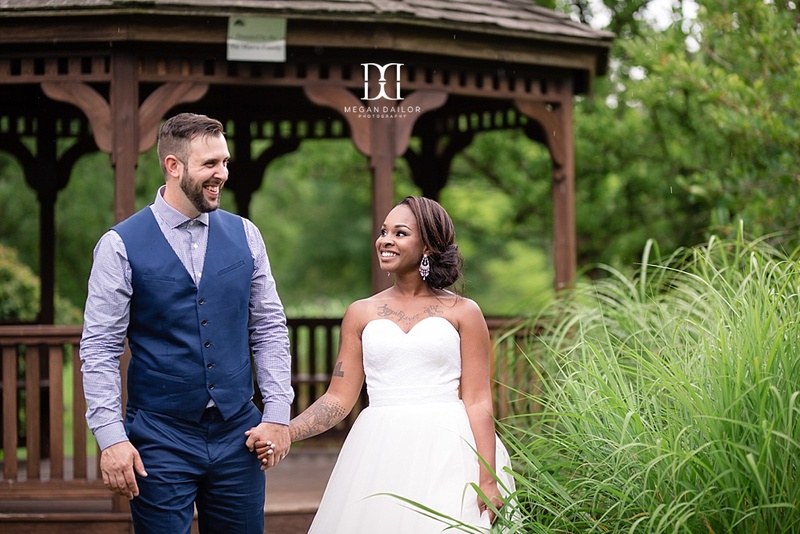 Lots of fun places for pictures at a Webster Arboretum wedding! Hoooooly cow, this is a cute family. I have some pictures of everyone looking, but I love this one so much because everyone's together but they're all doing something a little different. I feel like it perfectly captures the joyful chaos of having little ones! 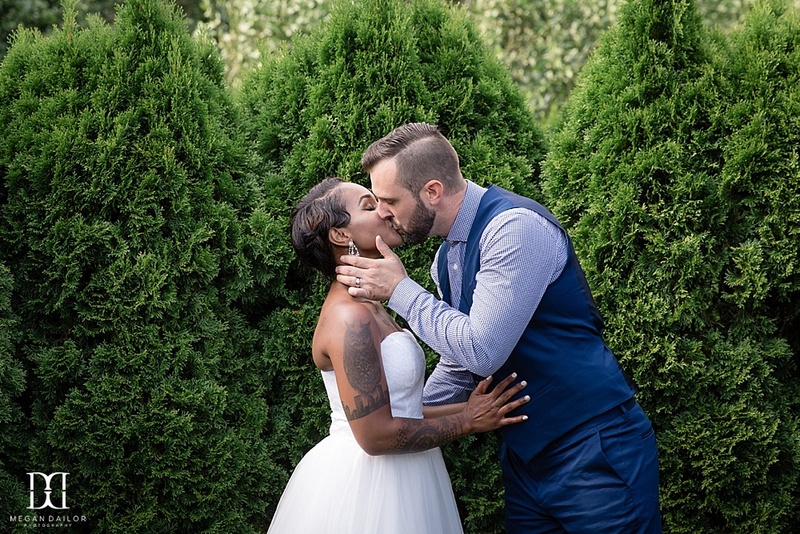 Thank you so much for sharing your wedding with me Joaneé and Charlie! You are adorable!